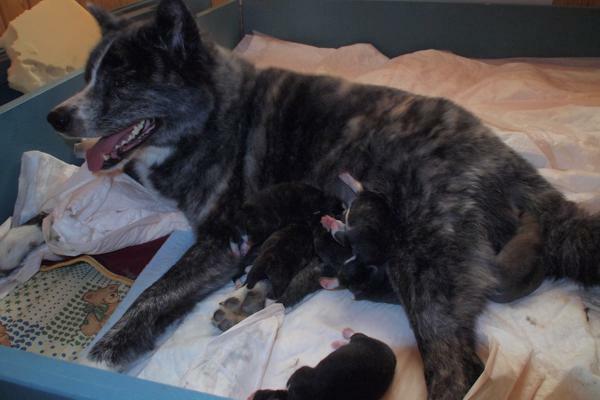 Sissi gave birth to 8 gorgeous puppies at 1.5.2012! Labor went great, like last time and mother with her puppies are doing fine. 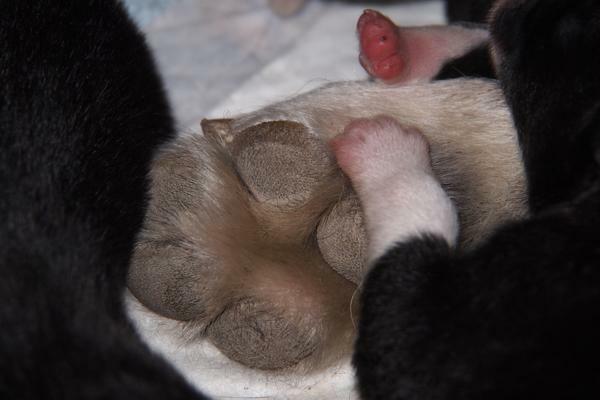 Most of the puppies are brindle, like we expected, but there are two red puppies also. You can see more pictures and updates at Sissi�s owners blog. Sissi is very dear girl from Yukitama-litter. 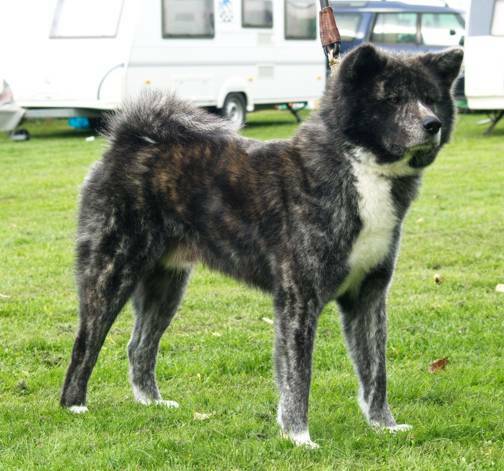 She is very easy to handle, you don�t need to know anything because is works like a mind � like her owner describes her. 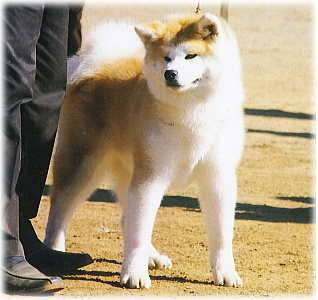 Sissi is from litter Yukitama and this is her second litter. 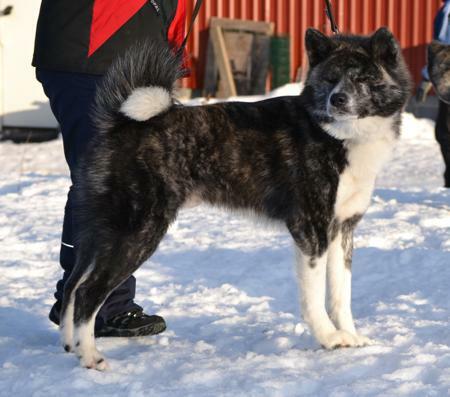 Also sissi�s sister Kuro has a nice litter. 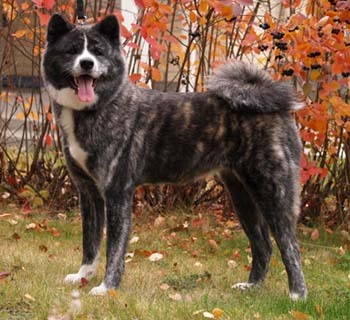 Riki�s breeder has a magnificent brindle-line and I hope to get this line through Riki to his offspring. 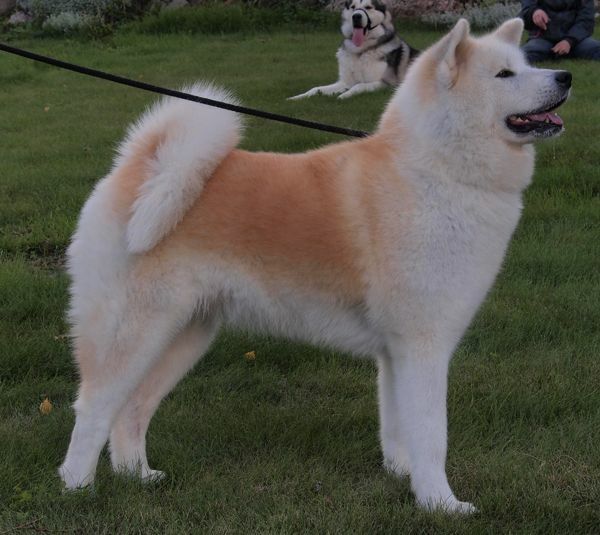 Both parents of this litter are healthy (except Riki�s hips) with no allergies etc. Both of the parents are examined to be healthy at eyes, back, knees and elbows! Sissi�s hips are healthy (A), but Riki�s hips are bad (E). 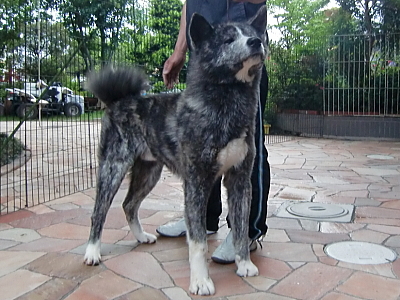 Riki hasn�t shown any symptoms of his hips. He walks normally and his movements are great. Because hips are shaped with feeding, exercise with heredity, I decided to use Riki for breeding. 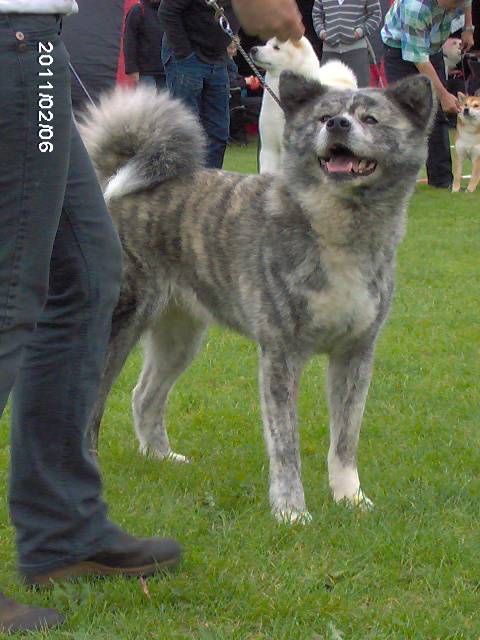 Sissi is from my �Juno-line� and she has healthy hips females from mother�s side at least 4 generation! 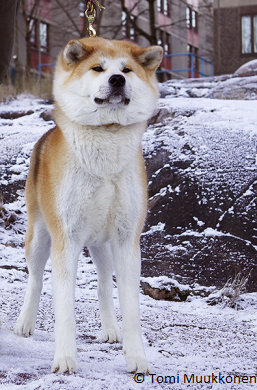 There are many well balanced and healthy dogs behind Riki. He has also new bloodline and that is rare and extremely important. 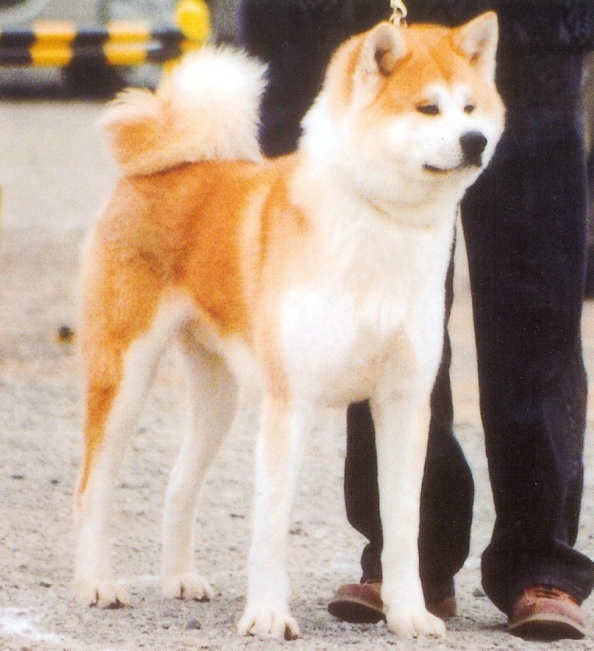 Riki was imported before the accident at Japan. Sissi�s brother has UDS. Other siblings are healthy, like is Sissi�s parents. Sissi has lost her grandmother (dam�s dam) likely with a heart failure. 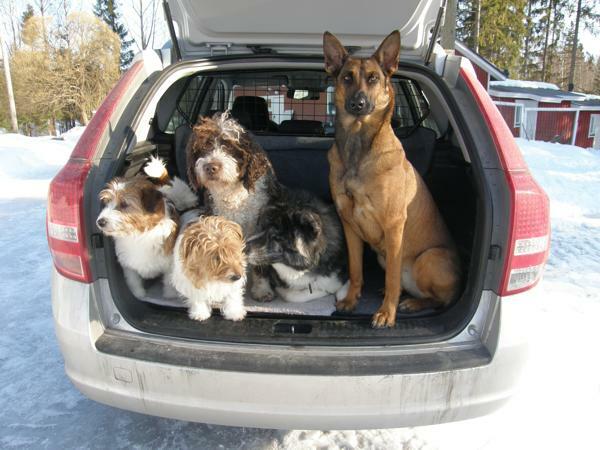 Sissi has got one litter before, those dogs are now 1,5 years old and all of them have been healthy. To Riki this is his first litter. 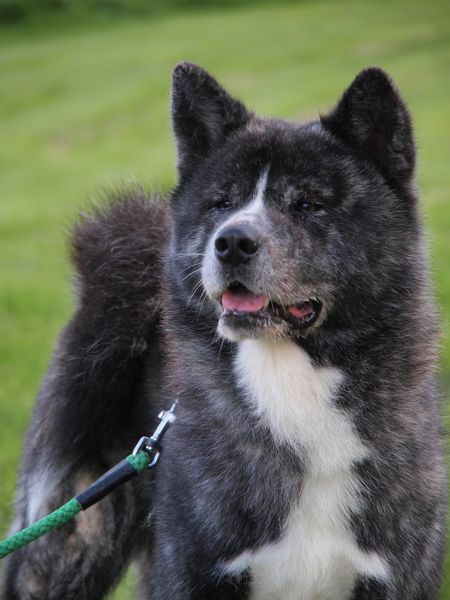 Riki�s new friends didn�t want to leave him! I hope to have puppies with great temperament and stunning brindle looks. 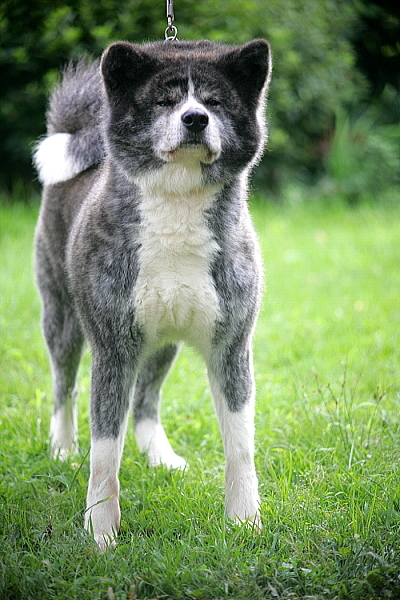 There are many Japanese Akitas behind Sissi, and Riki is imported from Japan. 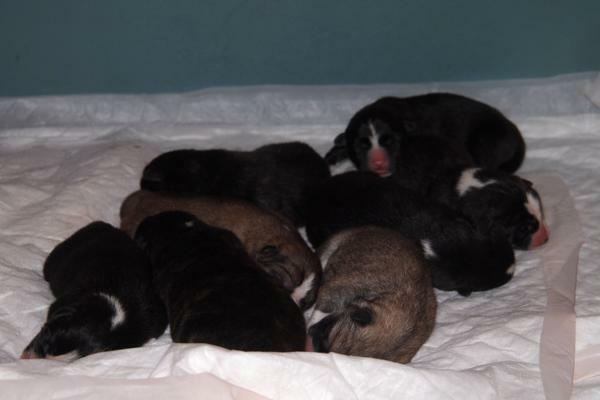 There are 6 dark brindle puppies and 2 red ones. 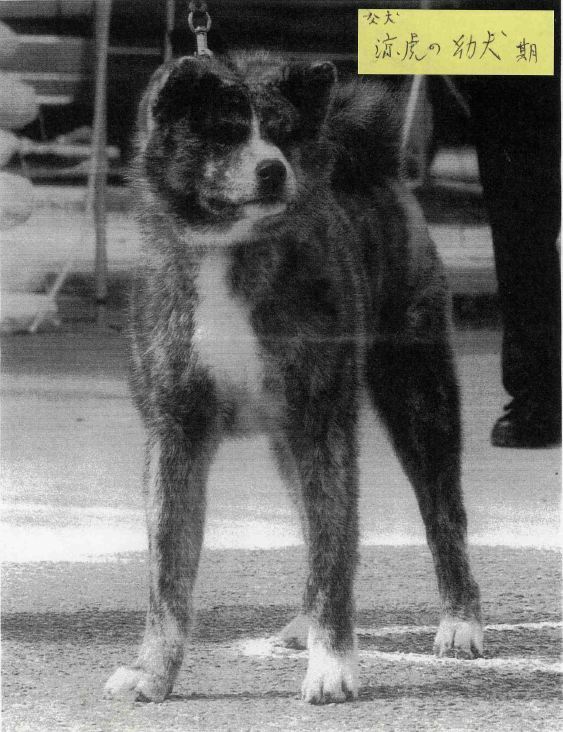 Few boys has an interesting color; dark brindle with white marks at stomach and chest.